The Harley Quinn Arkham Asylum .. 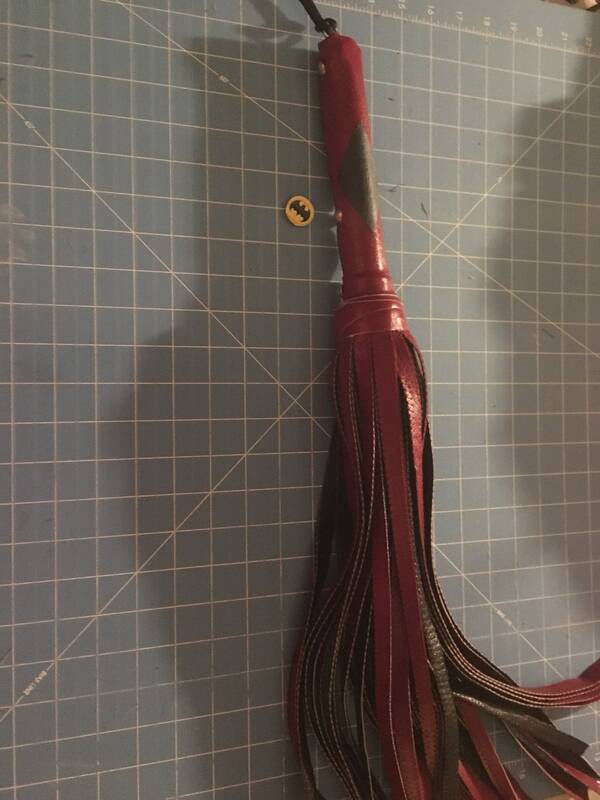 Beat the Batman with this one of a kind Harley Quinn inspired flogger! 18 inch 40 falls of maroon and black. Make up this one of a kind flogger .